One thing someone dealing with PCOS may encounter is absent or irregular menstrual periods. What then connote irregular cycle? Well, regular menstrual cycles normally vary between 24-36 days. So, if yours fall outside of that bracket then we can probably say you are having irregular periods. This is where Vitex or Agnus castus comes in, this herb helps to either bring back menstrual periods for those with absent periods or help regulate periods for those that have irregular ones. How can it be taken? Just like Maca, this herb too can be taken in capsule, powder, tincture or loose herbs. However, for this herb, I would go for the capsule form because of the bitter taste that it has. This is not to say, you can’t take it in any other way aside from the capsule form. It is just down to personal preference. How easily accessible is this herb? It is safe to say that Vitex is easily accessible, just as Maca. Again, make sure you are buying from a reputable health store or manufacturer to ensure quality. Lastly, I would not recommend Vitex for anyone pregnant or breastfeeding. 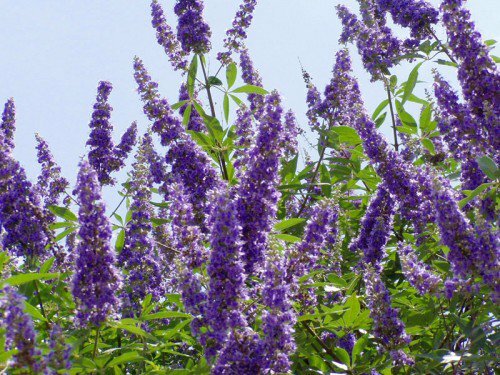 More on Vitex in the next post by Hethir Rodriguez, who threw more light on what Vitex does, how to use and its safety and side effects among other relevant information. ← Daily Dose: Be Passionate!